hahaha. I LOVE my walking foot. It really does make a huge difference. Nice circles btw! Love the ode! I agree! Cute post, Jess. 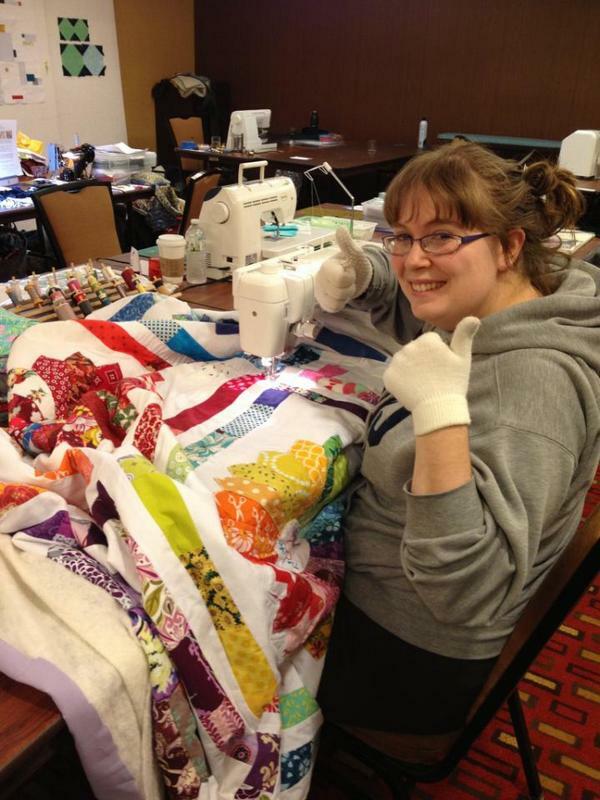 I love the peeks of those quilts in your pics. I, too, love my walking foot and hope to use it this weekend! ok, you sold me! im now looking for one!! Ha Ha that is great. I LOVE mine. I agree on every count. It sure has made my life easier! I have not tried circles yet, now you have inspired me! Hahaha, I used my walking foot for the first time today and I can't believe I went this long without it either! It is amazing how smoothly quilting goes with it. Love you circles! Maybe you could do a quick tutorial on using the walking foot to quilt in circles? I've used a walking foot for quite some time, but never in circles. I didn't know they could do that. Love this post! HAHA! I love mine too! Very true, just used mine for the first time. We had a couple of teething problems but really so much better once I got used to it. I am just starting with machine quilting! How in the world do you quilt such a large quilt? Fun post. Great post! Thanks for the giggle at the end of a long day. Definitely going to be my next quilting purchase! Love your circles! And I love my walking foot, too! But I haven't tried circles yet. Any advice about how to start? I have a walking foot, but I have fell quite that in love with it! But I think it's because the opening on my machine is too small for much of a quilt.